With over 25 years’ experience in the finance sector Robert has been helping local client’s dreams become a reality by looking after their financial requirements. 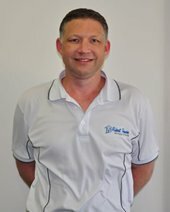 Robert is a National Award-Winning broker after recently being named the 2017 “Australian Broker of the Year for Insurance” at the Australian Mortgage Awards and therefore becoming a Finalist for the 2017 National Broker of the Year which is the same honour and award he received back in 2012. Robert was also named the 2015 “Regional Broker of the Year” by the Australian Broker Awards. He also has been announced the inaugural winner and National Broker of the Year 2014 for the ALI Group with over 2,000 Authorised Representatives; this is an outstanding achievement from a regional location and shows the level of care and expertise that our clients are treated with. Robert understands the stresses incurred when making that property purchase and works hard at taking those pressures away from his client’s by keeping them up to date with every process of the loan from assessing their needs through to after the settlement of the property. Robert has worked throughout Gippsland with Westpac for 10 years before deciding to start his own company in 2004 based in East Gippsland, Bairnsdale. 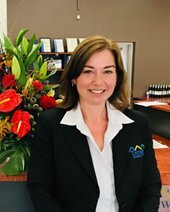 Trewin Mortgage Broking has since then outgrown two premises to its current location in Main Street Bairnsdale, assisted over 1,000 clients and has lent over two hundred and fifty million dollars in loans. We support many local events, charities and sporting clubs with financial support and involvement. Robert is also very community-minded and has held board positions with the local Sunrise Rotary Club of Bairnsdale including the president, delivered Meals on Wheels in Bairnsdale for over 8 years and financially supported the East Gippsland Sport’s Foundation. Robert also started his own charity in memory of his son, the “Cooper Trewin Memorial SUDC Research Fund” which has established an international research project in conjunction with the Boston Children’s hospital into the Sudden and Unexplained Death in Children after losing Cooper aged 16 months without explanation. They hold many events however the stand out is the Brighter Days festival which is 3 days of family-friendly fun held annually in the Victorian township of Bright, on the Labour Day Weekend in March each year. It all started when a group of like-minded friends whose interests include bikes, cars and music formed a committee to organise the inaugural “Brighter Days” event. They have now donated well in excess of one million dollars – a figure we could not have imagined when we started back in 2013. The name obviously is two-fold; the first, that the event is held in Bright, the second is in the hope that we can make a “brighter day” for some kids. Robert has helped raise in excess of $900,000 for his charity which is being used in an effort to find a cause for the sudden and unexplained death in children and hopefully help stop another family from going through this tragedy..
Robert was also approached by the local Bairnsdale Newspaper given his experience in the finance industry to run a column on a regular basis called the Lending Lowdown and has also been quoted and published in many leading Australian Mortgage Broking publications & magazines. Robert is also an accredited Mortgage Consultant with the Mortgage & Finance Association of Australia – the peak industry body. Duncan is an experienced loan writer having managed the Paynesville Bendigo Community Bank for 6 years and prior to that was a home finance manager for Westpac in Bairnsdale. Duncan is passionate about helping people turn their dreams into reality and provides exceptional customer service to his clients from an experienced and knowledgeable background. Duncan was employed as Robert felt he held similar qualities, background, work ethic and customer focus which is what the clients who utilise Robert Trewin Mortgage Broking have come to expect. 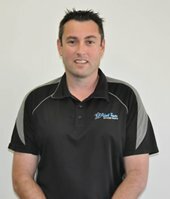 Duncan is a local Bairnsdale boy and attended Nagle College and is married with two children who keep him busy with activities on the weekends. Duncan also loves spending time with friends and family and helping his wife plan and prepare special dinner parties. Duncan enjoys nothing more than taking his kids fishing along the banks of the local Mitchell River and has grown accustom to the fact that they are now out fishing him on a regular basis with their pink Kmart rods. Tari has 13 years’ experience in the financial industry and is passionate about customer service. Her aim is to ensure that every client receives the best possible experience whilst going through their home loan process. Tari has lived in the Bairnsdale region since she was a teenager, attending secondary school in Bairnsdale. She is married with three daughters and 3 young grandsons, who, she says, keep her young. Over time she has been actively involved with sporting clubs, kindergartens, schools and community groups either through her own involvement or that of her children. Tari enjoys yoga, re-vamping old furniture, decorating, gardening and reading. She also loves to get out and enjoy the beaches, lakes, eateries and attractions of the East Gippsland Region with her husband, daughters and grand kids.